WE ANSWER EMERGENCY CALLS 24 HOURS A DAY! Invisalign is a game-changer for patients who are dissatisfied with their crooked smiles. Since they don’t have to worry about brackets and wires, Invisalign patients can safely enjoy all their favorite sports and activities. Watch the accompanying video to see how these clear plastic aligners changed one woman’s life. Sarah is a self-described nature lover. When she isn’t working as a science journalist, she loves to snowboard and ice skate. Sarah chose Invisalign because it fits into her active lifestyle. Even though she’s only halfway through her treatment, she’s already seeing great results and feeling more confident about her smile. Are you ready to begin your Invisalign transformation in NYC? Call Park 56 Dental at (646) 783-3529, and become our next patient success story! Nitrous oxide, also called laughing gas, is perhaps the most well-known type of sedation dentistry. Your dentist might recommend nitrous oxide for you if you are a little nervous about receiving dental care. If you’re very nervous, or you’re having oral surgery done, then your dentist might recommend a deeper level of sedation instead. What exactly is nitrous oxide? A typical formulation of nitrous oxide consists of 50% oxygen and 50% nitrous oxide (N2O). Nitrous oxide is breathed in through a special mask. From the alveoli (tiny air sacs in the lungs), the gas enters the bloodstream. It’s not understood exactly how nitrous oxide works, but scientists are pretty sure it works by inhibiting certain receptors in the brain, while stimulating other receptors, called parasympathetic GABA receptors. It also reduces perceptions of pain. Yes. In fact, dentists typically prefer to administer nitrous oxide to children compared to deeper levels of sedation. This is because it has an excellent safety profile. Why are patients given oxygen after nitrous oxide? It’s common to administer 100% oxygen to patients once they are no longer breathing in nitrous oxide. The oxygen therapy eliminates any lingering nitrous oxide in the lungs, while helping patients become more alert. The oxygen therapy also prevents headaches, which can sometimes be caused by nitrous oxide. Who shouldn’t receive laughing gas? Laughing gas may also be contraindicated in people who are receiving treatment with bleomycin sulfate. Nitrous oxide is one of the many sedation dentistry options we offer here at Park 56 Dental. 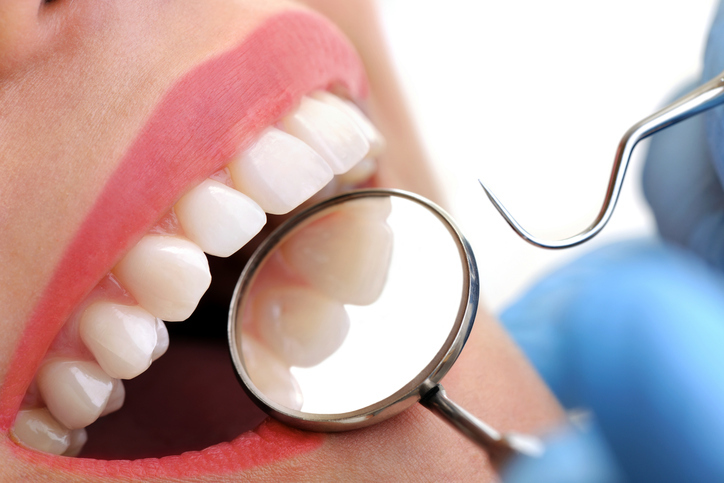 Our dentists in NYC are committed to making your experience as positive and pleasant as possible. New and current patients can get in touch by calling (646) 783-3529. Everybody remembers what it was like to lose their baby teeth when they were children. Once you’re a parent, however, you’ll be dealing with the same situation from a very different perspective. Is there anything you need to know about this important moment? Read on for the answers to your questions. 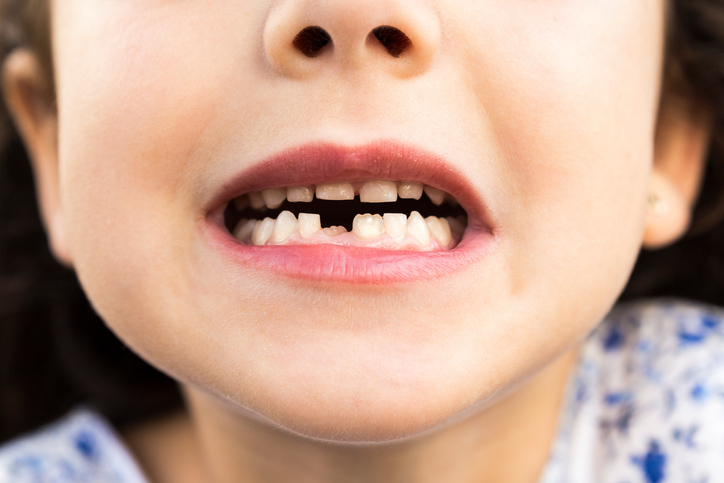 When do children start losing their teeth? Most of the time, children will lose their first baby tooth around their sixth or seventh birthday. It’s most likely that the two bottom teeth will be the first to go. Losing baby teeth is a longer process than you might remember—most children do not lose their last baby teeth, the second molars, until they are about 13. How long does it take for a tooth to fall out? The process begins when your child notices that a tooth is loose. In most cases, it is safe to wiggle the tooth using a finger or the tongue to loosen it further. However, there is no definite timeframe for losing the tooth. Some teeth will come completely loose and fall out of the mouth in only a few days, while others may take a month or longer to fall out. What should I do after a tooth falls out? There may be some bleeding after a baby tooth comes out, but that’s not unusual. Your child can rinse using warm water to clean out his or her mouth. It is safe to continue to brush as usual—though it’s a good idea to be gentle around the area where the tooth has fallen out. The new tooth will begin to erupt shortly after the old tooth falls out, though it usually takes a few months to fully emerge. Is it time for your child’s first visit to the dentist? Park 56 Dental is dedicated to providing you and your entire family with safe, comfortable, and gentle dental care. We are able to accept most insurance plans, and we have flexible payment options for your convenience. For more information, you can reach our NYC dental office at (646) 783-3529. 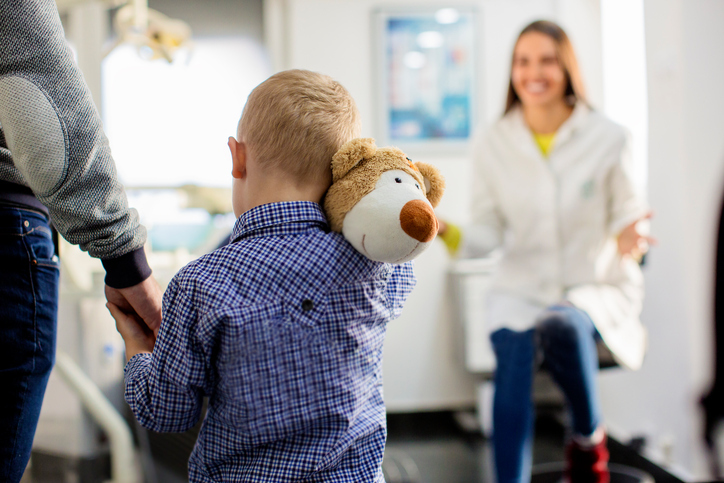 Can Sedation Dentistry Help Your Special Needs Child? When you have a child who has special needs, you’ll need to take the time to find an appropriate dentist. Some dentists have the expertise necessary to provide a comfortable, calming environment for children with special needs. You might also be curious about whether sedation dentistry would help your child have a positive experience. Here’s what you need to know. Sedation dentistry uses different types of medication to calm patients who are experiencing dental anxiety, allowing them to have a better experience. There are a number of ways to administer the sedation treatment, but intravenous (IV) sedation, which uses an injected sedative, is one of the most commonly used in dental offices. How can I tell if sedation dentistry is the right choice for my child? It’s important to keep in mind that every child’s needs will be different. Some children may benefit from having only mild sedation when they’re at the dentist’s office. Other children, however, may require general anesthesia in order to have a good experience during their visit. It all depends on your child’s specific circumstances. It’s a good idea to talk to your dentist before your child’s first visit so that you can determine what the right approach will be. Along with sedation dentistry, there are a number of other steps you can take to help your child feel better about a trip to the dentist. A favorite stuffed animal may make a good companion for your child. You may also want to talk about the visit beforehand, explaining what will happen in simple, clear language. If you’re interested in learning more about how sedation dentistry could help your child, contact Park 56 Dental. We work to provide all of our patients with the calm, stress-free experiences they deserve. If you’d like to schedule a dental appointment at our NYC office, give us a call today at (646) 783-3529.